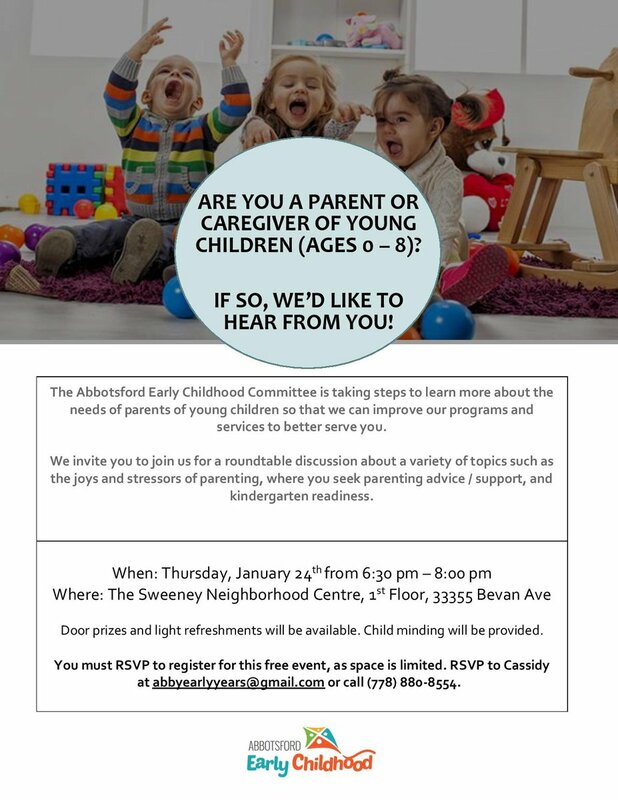 Abbotsford Early Years is designed to connect parents, caregivers and service providers in Abbotsford with tools and resources to support families of young children. We provide information on parenting, early childhood resources, referrals, and developmental screening. 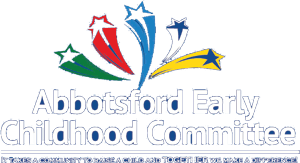 Abbotsford Early Years also offers numerous programs, including StrongStart, drop-ins and parenting supports. The Early Years Centre is located at the Sweeney Neighbourhood Centre at 33355 Bevan Avenue, Abbotsford. Please visit the Centre, this website, or our Facebook page for the current schedule. 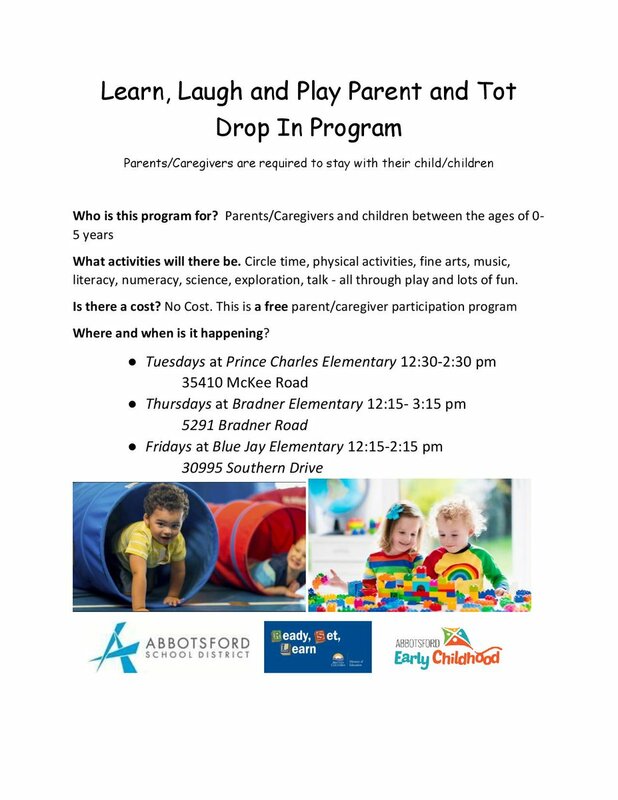 Looking for a fun, free drop in program? Look no further!